Do you want your favourite piece of furniture to be treated with the care and respect that it deserves? Are you looking for a quick and stress-free way to remove stains, dirt, soiling and dust from deep of the fabrics of your upholstery? Well, now you have a very well-trained team of licensed professional cleaners who are going to take care of the job for you. Give us a call for the best sofa and upholstery cleaning service in Knightsbridge to be found on the market today and we will make all your dreams come true. 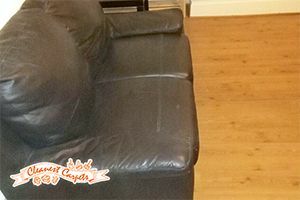 After using our tested methods and state of the art equipment on your sofa, chairs or couches, they are going to look in a top condition – just as if they have come to the store today. The way we are going to treat them will have no mercy on the stains or dirt, but it will be very gentle to the materials that they are made of, meaning that not only are we going to make them feel and look in their best condition but we are also going to prolong their lives. Feel free to get in touch with us at any time of the day in order to obtain further details and learn more about our excellent prices and even more attractive discounts. Our excellently tailored prices are definitely going to fit your budget and be up to your taste. For example, a two-seat sofa cleaning in Knightsbridge when carried out by our excellent professionals is going to cost you merely £30; a regular dining room chair will be treated for just £7, and in order to have your office chair cleaned you will have to pay no more than £5. Feel free to browse through our complete price list or give us a call in order to learn more about our competitive prices and special deals now. Available for contact via phone and the easy to use online contact form that is to be found on our website. Do not think twice about getting in touch with us – just do it and we are going to cover all your needs and personal preferences the way true professionals can.